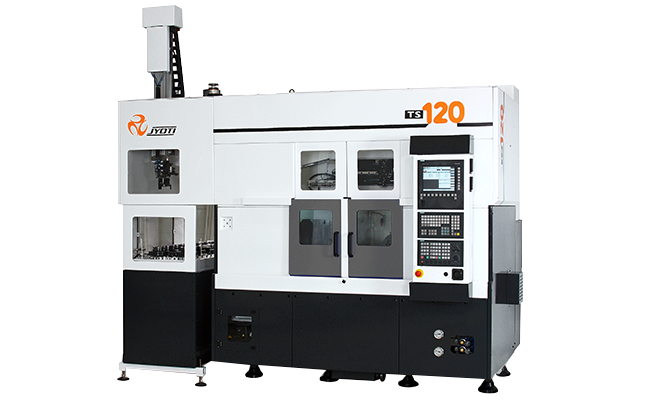 TS 120 - Jyoti CNC Automation Ltd.
Twin spindle chucker with 3 axis gantry robot. Twin servo turret with 8-station on each. Un-manned loading to unloading operations. Auto feeder and change over station available. Hydraulic chucking on both spindles. Fully tooled up solution to meet customer need.